We are excited to welcome the Bama Club to Greenbriar Restaurant on Thursday March 3rd. Multiple speakers will be presenting and all Alabama fans are welcome to come. Dinner will start at 5:00pm and the presentations will be made from 6:30pm - 8:30pm. We hope to see you there. We are excited to welcome the Bama Club to Greenbriar Restaurant on Thursday February 4th. Multiple speakers will be presenting and all Alabama fans are welcome to come. Dinner will start at 5:00pm and the presentations will be made from 6:30pm - 8:30pm. We hope to see you there. We are excited to welcome the Bama Club to Greenbriar Restaurant on Thursday January 7th. Multiple speakers will be presenting and all Alabama fans are welcome to come. Dinner will start at 5:00pm and the presentations will be made from 6:30pm - 8:30pm. We hope to see you there. Come hear Kerry speak and meet MANY OTHER former Bama greats. We are asking for a minimum $20 donation to support Kerry and his family. Let's raise $2,000 or more to help support the Goode family. Make checks payable to GOODE FOUNDATION. For more information go to www.nati.myevent.com. If you cannot attend the meeting you can help through www.kerrygoode.com. We are excited to welcome the Bama Club to Greenbriar Restaurant on Tuesday March 10th. Multiple speakers will be presenting and all Alabama fans are welcome to come. Dinner will start at 5:00pm and the presentations will be made from 6:30pm - 8:30pm. We hope to see you there. 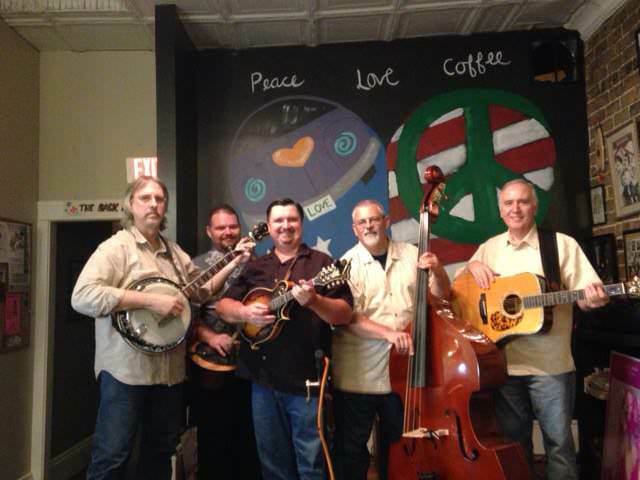 Rattlesnake Ridge Boys Bluegrass & Gospel band will be performing March 26th from 6-8pm. Come, eat, and then listen, no charge just tip the band as much as you enjoy. We are excited to welcome the Bama Club to Greenbriar Restaurant on Tuesday March 10th. Multiple speakers will be presenting and all Alabama fans are welcome to come. Dinner will start at 5:30pm and the presentations will be made from 6:30pm - 8:30pm. We hope to see you there. There is a fundraiser for Semper Fi Community Task Force of North Alabama on October 28th all day long. Greenbrier Restaurant will be matching the tips that the waitresses make all day long. Come enjoy a great meal, be generous taking care of your server to support our service men in North Alabama! The Alabama Football supporters are meeting Tue Oct. 14th. at OldGreenbier Restaurant. The event is starting at 5:30pm and open to all Alabama supporters. Eat first and then there will be a guest speaker. HWY 72E to Mooresville Rd. turn right. Go 6 miles to Old HWY 20 turn left for 2 miles to the 4 way stop. Take I-565 West to Greenbrier Road exit 3. Turn right and go 2 miles to 4 way stop. Take I-565 east toward Huntsville to Greenbrier Road exit. Exit 3. Turn left for 2 miles to the 4 way stop.